Where does a gaze in a painting come from? In this post, I’d like to share what Julyan Davis told me about working with the model for By Her Lily White Hand (On the Banks of the Ohio), 2012. “I asked her to look towards me with the following in mind—she is seeing a young man at the very first moment of losing control of himself. She has seen him lose control before. He has asked her to walk with him, and she has literally just rejected his offer of marriage. She knew his reaction might well be murderous, yet still she went with him. She does not love him, but she very much pities the anguish of his unrequited love, anguish she is causing. Julyan Davis asked the model to keep a particular emotional narrative in mind as she posed, and certainly that narrative is present in the model’s gaze. The model was the one who determined a crucial part of the pose. She brought something to the narrative, and Julyan Davis was open to it. 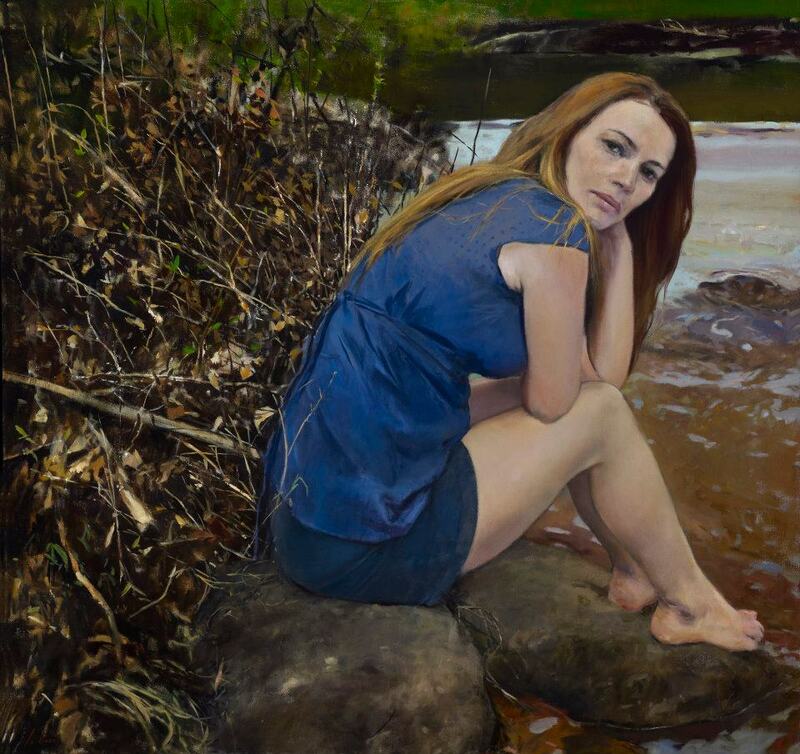 A gaze, a self-protective gesture, the moment in time when an artist’s vision intertwines with the emotional understanding of the model—it’s all there in Julyan Davis’s painting. Go to www.julyandavis.com or www.murderballadpaintings.com to learn more about Julyan Davis and his work.